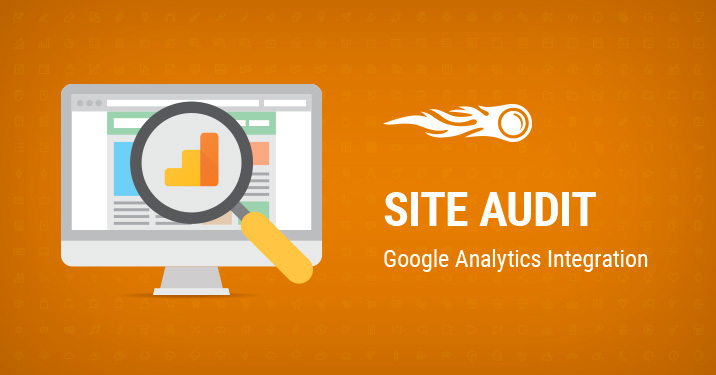 We are excited to announce that we’ve integrated the Site Audit tool with Google Analytics! What’s it for? In a single sentence, once you connect your GA account, you’ll be able to quickly see which top-viewed pages on your website have technical issues and find out how to fix them. 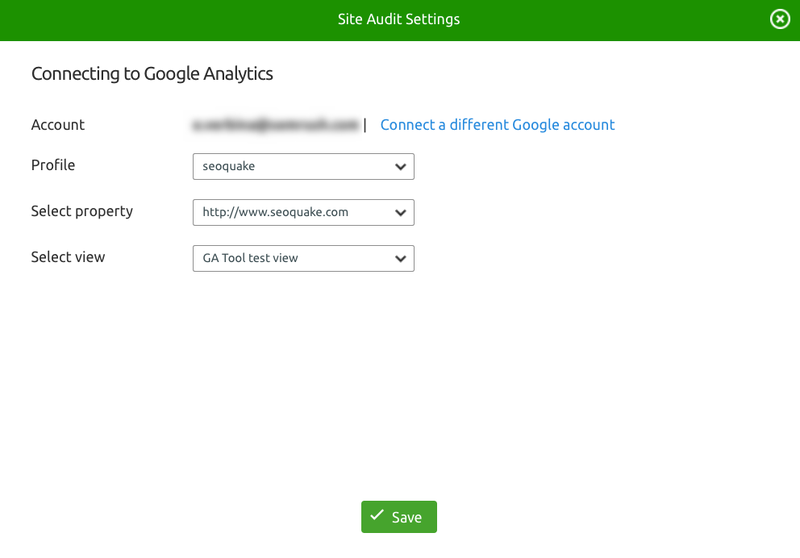 First, go to your project with Site Audit setup. If you don’t have a running project, create a new one and set up the tool. Next, click on the gear wheel at the top right, and select ‘Google Analytics.’ Finally, follow the wizard’s steps to connect your Google Analytics account, and save your settings. Tip: after you have connected your GA account, wait 10-15 minutes for GA data to appear on the ‘Crawled Pages.’ There is no need to re-run your campaign to make the first data appear. Now your GA data will be updated automatically every time you re-run your campaign. 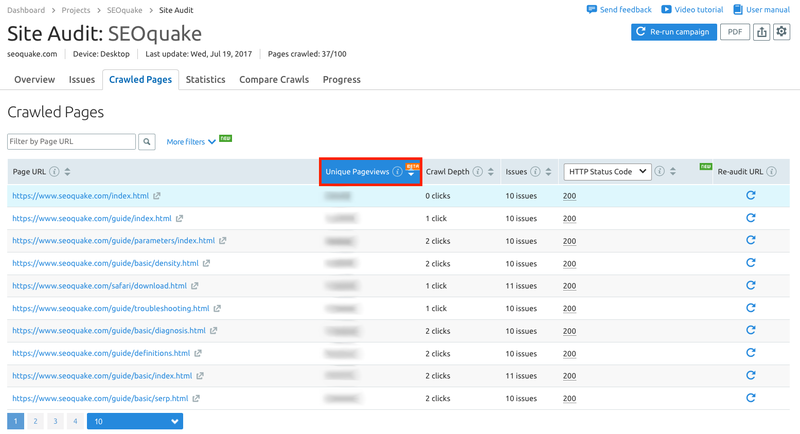 Go to the ‘Crawled Pages’ tab and pay special attention to the ‘Unique Pageviews’ column, which pulls valuable data from your Google Analytics account on the number of unique visits to a certain URL. Click on the column’s heading to sort your pages by number of unique pageviews in descending order. Now you have a priority list of your top-viewed pages that have technical issues. Click on a URL to view a report for a single page with its errors, warnings and notices. 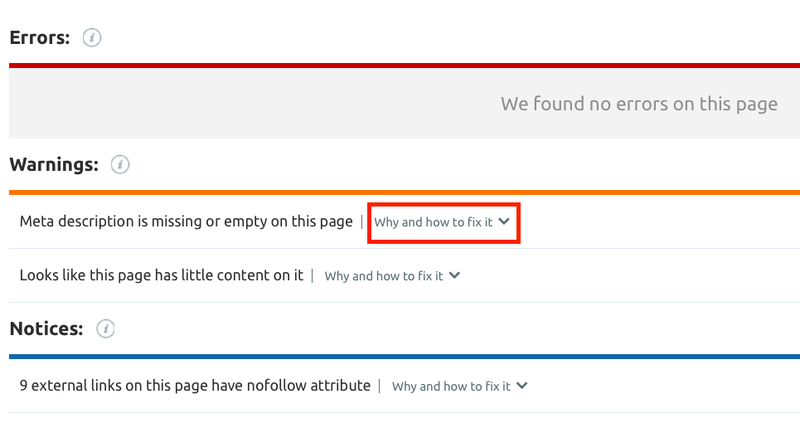 While you’re looking at a URL report, don’t forget to check the ‘Why and how to fix it’ box alongside each error, warning and notice triggered to learn how to deal with these issues. Read Site Audit Digest to find out more about the tool’s new reports and settings.